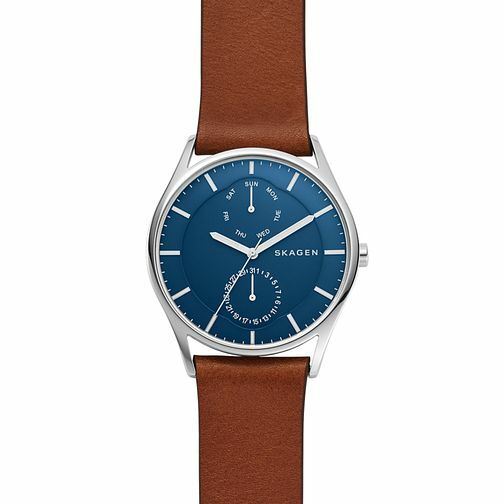 This 40mm Holst men's watch from Skagen features a sandblasted dial with linear indexes, three hands and a multifunction movement. Subeyes at 12 o'clock and 6 o'clock indicate the day and date, respectively. A quick-release pin construction makes it easy to interchange the leather strap with any 21mm Holst watch strap.